Students will have the opportunity to meet program instructors, discuss program details with program coordinators, and speak to academic advisors about integrating study abroad options into their degree plan. UCEAP advisors will also be available to help students identify programs at leading universities around the world that match their individual interests and goals. There will also be snacks and a raffle for students who attend. Hope to see you there! 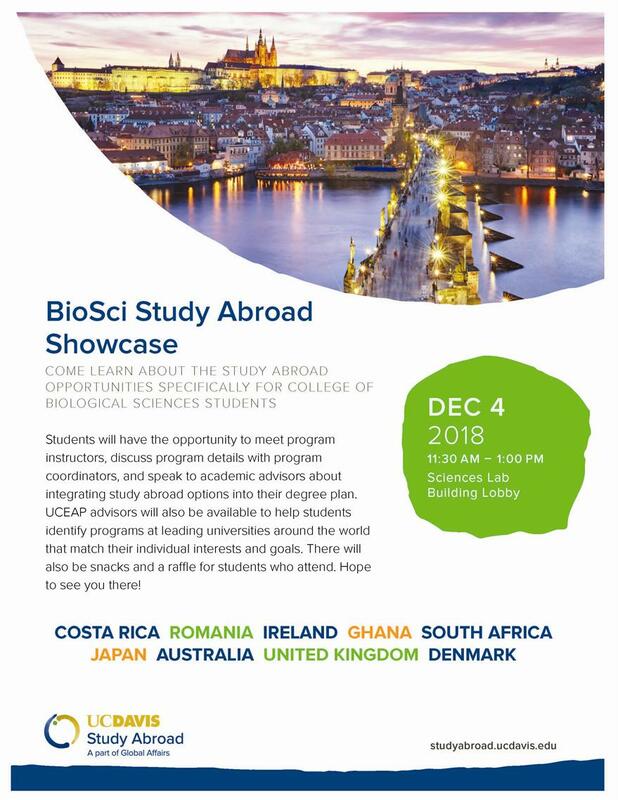 Come learn about the study abroad opportunities specifically for students in the college of biological sciences!